Bevan Elliott is an Investment Director with Anacacia Capital. Bevan is responsible for a range of activities including originating and assessing investment opportunities as well as supporting the growth of our investee companies. Bevan brings over 20 years of investment, financial, operational and advisory experience. Bevan is a Non-Executive Director of Anacacia portfolio companies: ForceFire, leading fire safety specialists; RISsafety, a leading height safety company; and formerly LEDified and Catalyst Education. 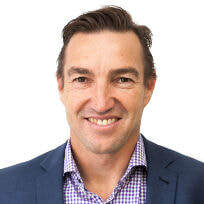 He was previously the Group CFO at Hollard Financial Services, a Director in ANZ's private equity business and worked with Deloitte for over a decade including as Director in the Australian corporate advisory business. Bevan previously qualified as a Chartered Accountant following an honours degree and articles in South Africa before immigrating to Australia.